Let’s start off with some good news! The official weigh-in has me at 407 pounds today, down another 1.6 pounds from yesterday. Only 7 pounds to go for #400Independence! This additional weight loss was exciting to me as I’m finally getting back to the point where I was before my daughter’s wedding. 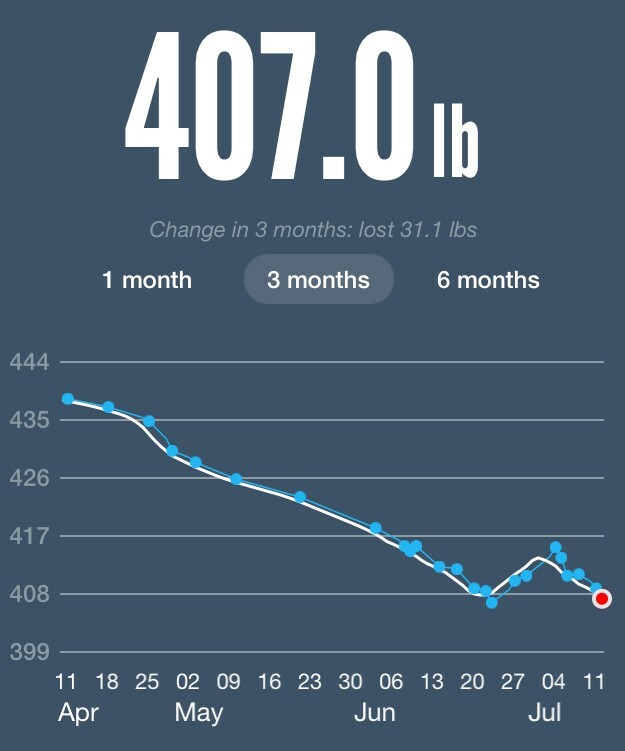 My lowest weight so far has been about 406 pounds. Now for the other interesting news. Julianne and I have toyed with the idea of vegan barbecue for many months. We had learned of a recipe using the Asian fruit called jack fruit as a replacement for pulled pork. Yesterday, we finally broke down and tried it and it was fabulous! Honestly, if you didn’t know you were eating jack fruit, you would’ve absolutely thought you were eating pulled pork… No kidding. (I actually had three guys at work taste test it…they were fooled). 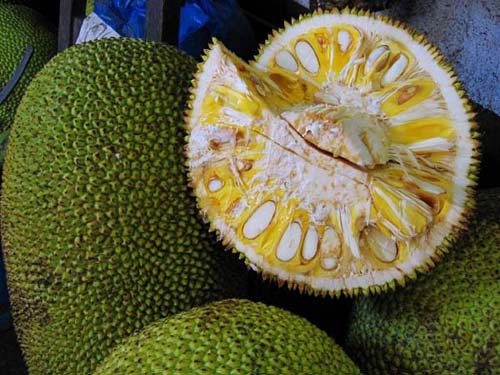 There are many interesting recipes for it, but it seems that most of them do as we did, and that is use canned jack fruit in water or brine. 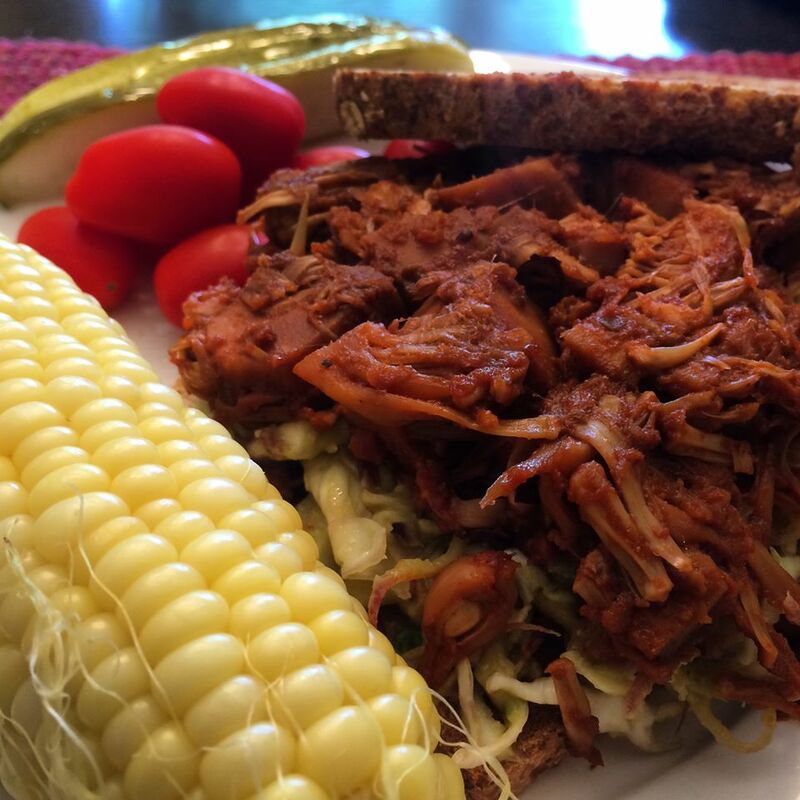 And, unlike pulled pork, jack fruit BBQ can be thrown together very quickly, in less than an hour. Following are a couple of links to some good recipes. Along with the jack fruit BBQ, Julianne made a very good slaw to go in our BBQ sandwich. It was made of shredded cabbage and the guacamole that we get at Costco. That was all there was to it. Sunday ended up being a very restful day and a day to get caught up on chores at home. Life has been hectic for both Julianne and me, with her schooling and work and then my work and my additional evening work. It was nice to finally get some chores done around the house. Also nice to get a nice Sunday nap! Tomorrow I am off to Salt Lake City for business.